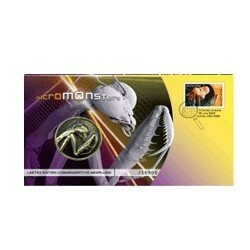 Here you will find Australian Numismatic Coversissued between 1966 and 2009. Pre - 2009 PNC's There are 36 products. 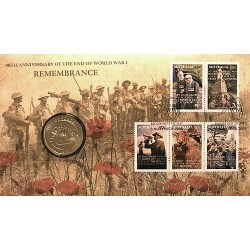 2008 $1 90th Anniversary of End of World War I - Remembrance. At 11am on 11 November 1918 fighting ceased on teh Western front after more than four years of bloody warfare. 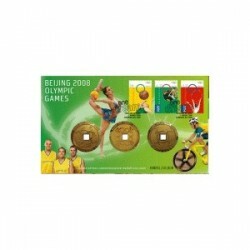 2008 $1 Beijing Olympic Games Coin & Stamp PNC. 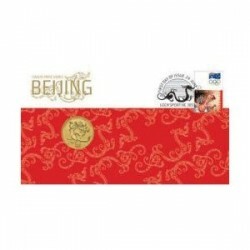 This outstanding momento of the 2008 Beijing Olympic Games has been released by Australia Post and includes the $1 commemorative aluminium bronze coin. 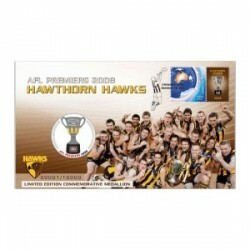 2008 Beijing Olympics 3 Medallion and Stamp Cover PNC Limited Edition Commemorative Medallions Cover - Only 10,000 issued and SOLD OUT in record time. .
2009 AFL Premiers Geelong Cats Stamp and Medallion Cover Limited Edition - 10,000 issued only. 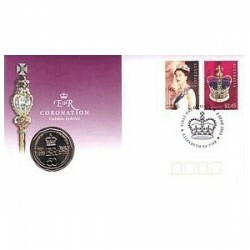 2009 $1 Australia Post Celebrating 200 Years PNC Australia Post celebrates 200 years of postal services in Australia. 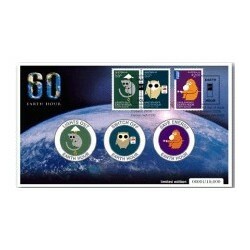 2009 Earth Hour Stamp and Medallion Cover Limited Edition 10,000. In 2007 Australia pioneered the now global annual event - EARTH HOUR. 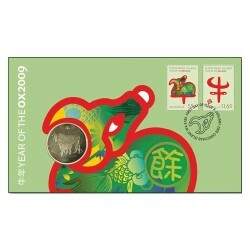 2009 $1 Year of the Ox - Coin & Stamp Cover PNC Following on from the popular Chinese Lunar Year series, comes the latest in this popular release. 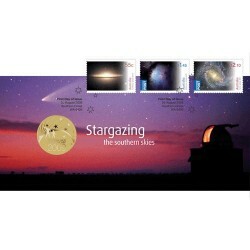 2009 $1 Stargazing Coin and Stamp Cover PNC 2009 is the International Year of Astronomy and as such The Perth Mint and Australia Post have released this stunning Coin and Stamp Cover showing the stunning use of astrophotography. 2009 Micro Monsters Stamp and Medallion PNC Micro Monsters is a fascinating issue that reveals a wonderful microscopic world most of us never have a chance to see. 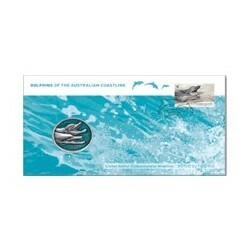 2009 Dolphins of the Australian Coastline Stamp and Medallion Cover The WWF Conservation Stamp Collection is the world's largest thematic stamp collection.